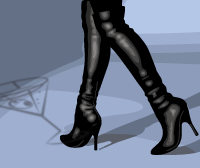 Get Ready Everybody. 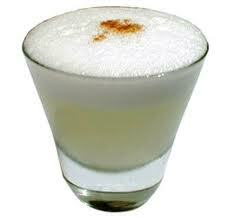 February 1st is Pisco Sour Day! In 2003, Peru created the “Día Nacional del Pisco Sour” an official government holiday celebrated on February 8. but we’re celebrating it February 1st…not sure why the difference. Here’s everything you ever wanted to know about Pisco from wikipedia. Just reading it will make you thirsty. A Pisco Sour is a cocktail typical of western South American cuisine. The drink’s name is a combination of the word Pisco, its base liquor, and the term sour (in reference to a lime juice and sweetener components). The Peruvian Pisco Sour requires the use of Peruvian Pisco as the base liquor and the addition of lime (or lemon) juice, syrup, ice, egg white, and Angostura bitters. The Chilean version is similar, but uses Chilean Pisco, sugar instead of syrup, and excludes the bitters. Other variants of the cocktail include those created with fruits like pineapple or plants such as coca leaves. The cocktail originated in Lima, Peru, invented by Victor Vaughn Morris, an American bartender, in the early 1920s. Morris left his native United States in 1903 to work in Cerro de Pasco, a city in central Peru. In 1916, he opened Morris’ Bar in Lima, and his saloon quickly became a popular spot for the Peruvian upper class and English-speaking foreigners. The oldest known mentions of the Pisco Sour are from a 1921 magazine attributing Morris as the inventor and a 1924 advertisement from Morris’ Bar published in a newspaper from the port of Valparaiso, Chile.